The Taj Mahal is one of the most beautiful and pristine manmade structures in this world. Owing to its immense beauty and serenity, this white mausoleum is hailed as one of the wonders of the world.You can visit Taj Mahal With Same day Agra Tour and Golden Triangle tours. Taj Mahal Moon light Tour also very famous for its unique experience. Any tourist who visits India makes it a point to witness the surreal beauty of the Taj with one's own eyes. While many people might know about the common facts related to The Taj Mahal, the white monument abounds in rich history with many more fascinating facts. The construction of this white wonder of the world started back in 1632. This happened one year after the death of the beloved wife of the then Mughal Emperor Shah Jahan. It took around 22 years for getting their structure completed into the current marvel of architecture. 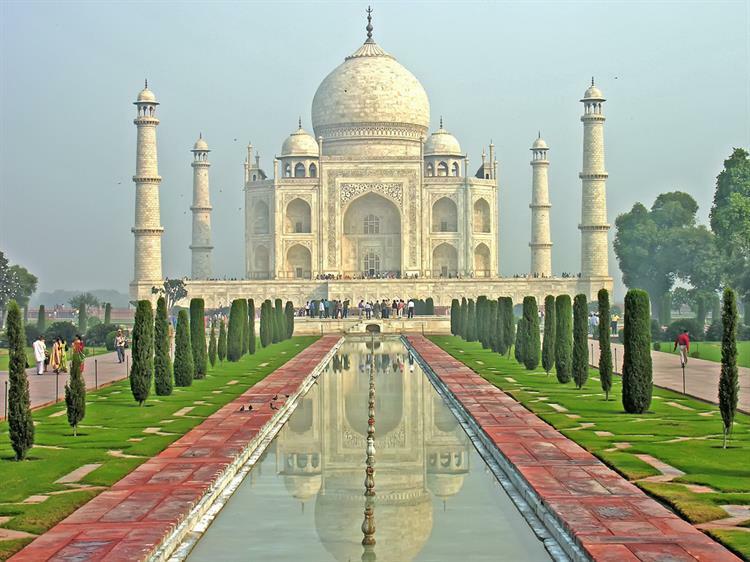 If we would calculate the overall cost of construction of the Taj Mahal by today's standards, then it would come to around more than 1 billion dollars. The Taj Mahal is considered to be the world's top symmetrical manmade structures. The basic principles behind the entire layout of this wonder are that of geometrical symmetry and self-replication. Taj Mahal is indeed a marvel of engineering of the back times when there was the absence of any advanced tools or machinery. The entire construction was done manually with the help of simple tools and inherent artistic skills. Above 20,000 laborers were deployed in the making of this marvel architecture. This number also included that painters, sculptures, stone cutters, and artisans. It is also assumed that more than 100 elephants were used for the purpose of transporting heavy stones and marbles from one region to the other. The Taj Mahal is known as the "white mausoleum" owing to its fine white marble structure. The Emperor Shah Jahan had ensured that the best quality of marbles from across the world was used for making this breath-taking monument. Therefore, the finest of marbles were transported from Rajasthan, Afghanistan, China, and Tibet. On top of the marble floors and walls, the intricate precious and semi-precious stones were inlaid to enhance the overall architecture. The majestic Taj Mahal exhibits a myriad of color and artistic shades at different times of the day. The spotlessly white marble along with the reflective tiles enable this monument to change its colors naturally. For instance, during the early hours of the morning, it would impart a pinkish hue which might gradually transform into a glowing white as the day advances. By the time of a full moonlit night, the amazing monument reflects its white serene beauty with a tinge of blue shade. There is nothing as beautiful as compared to the glow of the Taj Mahal during a full moonlit night. There is a common belief that the architecture of the Taj Mahal was engineered spectacularly such that it remains analogous to the varying moods of the Begum Mumtaz Mahal. When you are on your car on the same day of agra tour , then these fascination facts would excite you up!